One of the last remaining independent manufacturers of luxury-quality watches, Raymond Weil is renowned for crafting watches of immaculate design with superior Swiss accuracy. 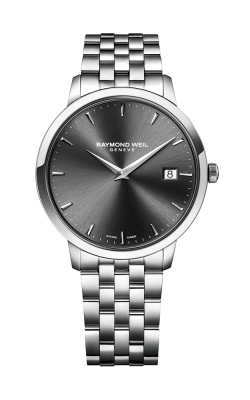 Inspired by the rhythms of modern music, the watches of Raymond Weil embody a sophistication unlike any other timepiece. With a constantly expanding selection of watch styles and collections, the perfect Raymond Weil timepiece for every occasion is waiting for you today at BARONS Jewelers, your San Francisco Bay Area source for the latest trends in men's and women's timepieces from the master watchmakers at Raymond Weil. As an authorized retailer, the experienced staff at BARONS Jewelers is excited to display today in our state-of-the-art Dublin, California showroom, an unbeatable selection of some of today's most popular men's and women's collections of Swiss-made watches by Raymond Weil. Featuring gold, stainless steel, and diamond accented cases, the BARONS Jewelers in-store collection includes the enduring designs of the Raymond Weil Ladies' and Men's Tango collections, the stylish and rugged timepieces of the Men's Freelancer collection, and the luxurious models that comprise Raymond Weil's fashion-forward Toccata collection. 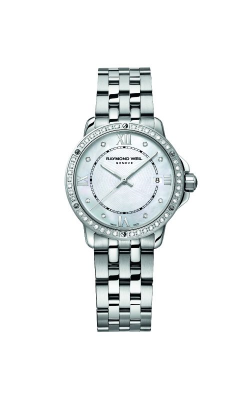 In addition to these popular watches, BARONS Jewelers is proud to carry an array of women's watches from Raymond Weil that include the models of the Noemia and Shine collections, crafted with brilliant diamonds and shining mother-of-pearl dials. Also, perfect for the music lover in everyone's life, BARONS Jewelers is thrilled to offer our San Francisco Bay Area customers the exclusive Raymond Weil men's watches from the Maestro collection, which include stainless steel models paying tribute to the eternal music of The Beatles. Since 1967, BARONS Jewelers has been a paradigm of quality in the San Francisco Bay Area by offering an extraordinary selection of premium, designer wedding bands, engagement rings, watches, and fine fashion jewelry with exceptional personal service. With over 50 years of experience, BARONS Jewelers is committed to providing a comfortable jewelry shopping experience for customers in our Dublin store. For the convenience of our customers in the San Francisco, Pleasanton, Oakland, and Danville areas, BARONS Jewelers offers affordable financing plans, onsite cleaning, appraisals, jewelry repair, and custom jewelry design services.